He won’t say it. But I see it in his eyes, in his touch, in his gruff, “You’re all right. You’re OK.” His rough hands rubs the black hair on a (not so) small nose, petting the calf like a dog, and dust rises to the top of the hair and coats his hand. The calf is horribly sick. 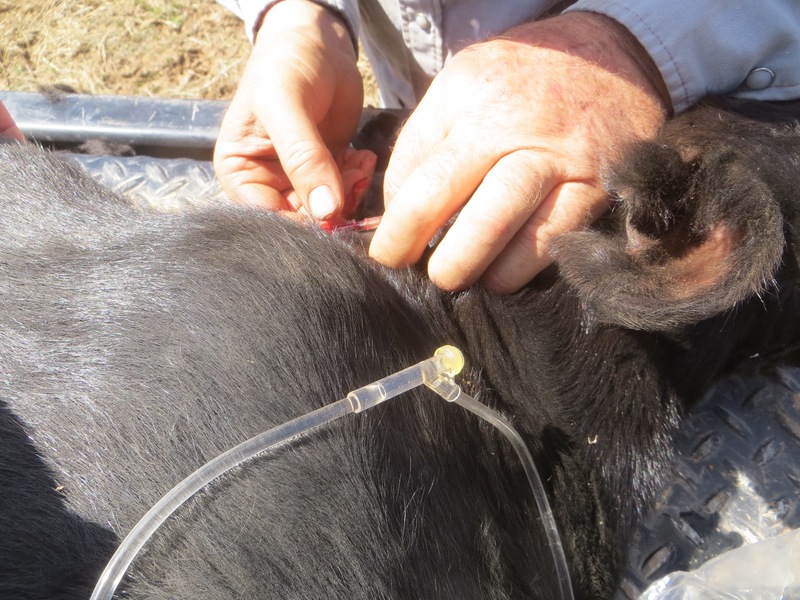 It’s scours – the scourge of baby calves. 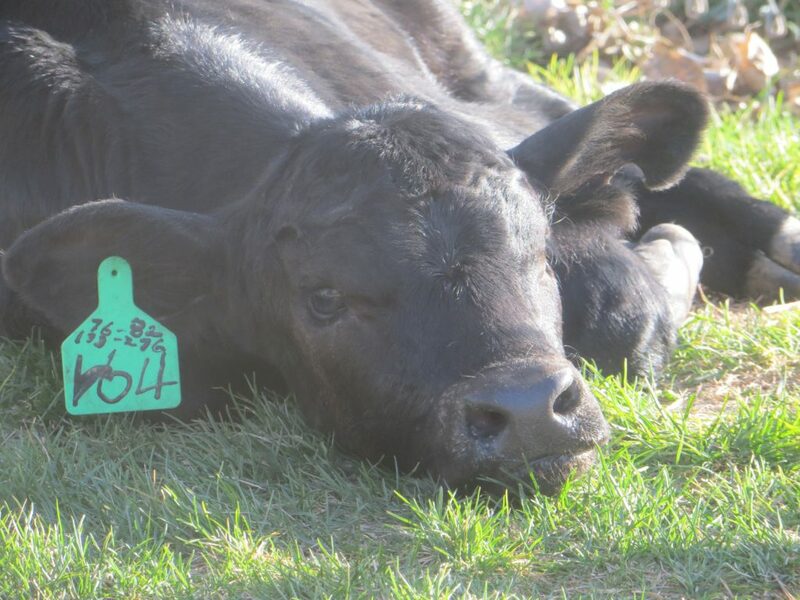 Scours is the leading cause of death in calves and can be caused by many things, bacteria, viruses, or protozoa. The end result is diarrhea, a massive loss of fluids and electrolytes. One day the calf is big and healthy. Six days old. You’d never guess he’d get sick, but the next day, you can smell it. He’s laying there, weak, listless, uncaring, not moving. 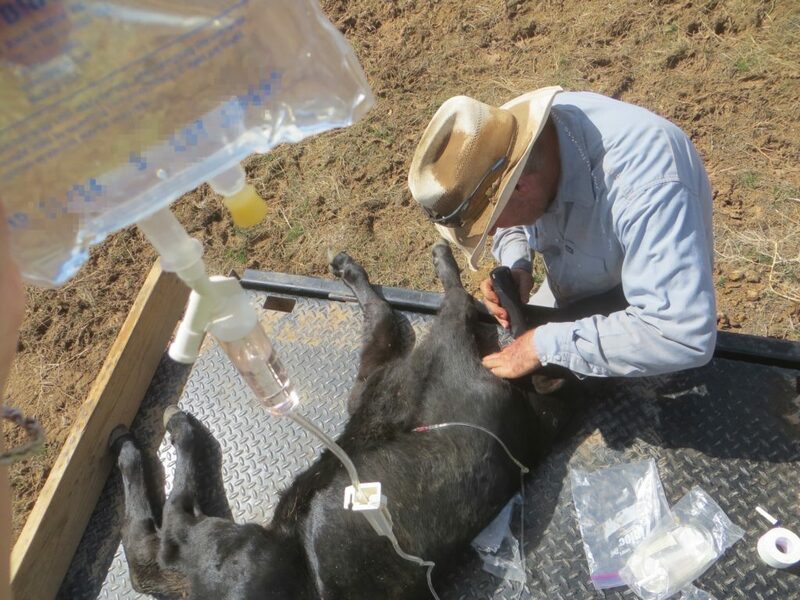 They say a baby calf is 70% fluids… losing so much so fast, makes scours a very effective killer. The diarrhea is often grey and it Stinks. It’s not just calf poop, it’s the smell of Death Coming Soon. He needs fluids and electrolytes and Fast. Vernon comes to get me and some IV fluids and we’re off. It is a Big Calf, I kid you not, and we grunt when we load it onto the flatbed. We use the pickup for it’s height and I’m much happier up there than down on the momma cow’s level as she circles the pickup wondering What The Samhill Is Going On With Her Calf. Vernon uses clippers to shave the hair next to the veins in its neck. The trouble with veins when you’re dehydrated? They collapse. There’s less fluid in the blood, less volume. Nevertheless, Vernon stabs the needle in, and hits it first try. I was SO IMPRESSED. I crack open the dial and saline solution flows in. Vernon has already given him some mineral and electrolytes and Very Very Very Expensive antibiotics called Zuprevo. One third of a bag down and it stops. We’ve lost the vein. Without success, Vernon stabs him again. And again. I vote for just putting the fluid under the hide, it will create temporary lumps, and it may not help as fast, but it WILL be absorbed and it may help if we caught it in time. We stand in the warmth, in the spring sunshine, with meadowlarks trilling and sandhill cranes and Canada geese warring over who can be the loudest in the fields below us. The tractor swings back and forth in the distance, Daniel is planting oats and alfalfa, but I can only watch his progress, I can’t hear the tractor from here. Momma watches. We keep the fluids coming, but it seems to take a long time. Two bags of IV fluid later, we bring him to my house. The dogs are locked away to keep from stressing him more… and we wait. Sweet baby..I can see the “feel bad look” in his sweet eyes..
she will address Sun News directly AFTER the election…. she can’t find time to go to Sun News’ Ottawa studios??? ?Nancy Wilson says that today is perhaps “thee most important day of the campaign” because, she says, Canadians will be spending time with family and will really get into the issues….. once again that CBC arrogance comes shining through — if the polls are not good for the Libs, Canadians are dumb and not paying attention yet. What an interesting story! Neil read it also. It is evident that you both were astute as to how to care for this darling baby calf that is of course wondering what is happening! Your daily ranch life stories I look forward to every morning! You are consistently consistent! Thank you. Will be interested tomorrow to see how this story continues! Poor little guy. They are SICK when you can catch them so easily…. Sounds like he’s getting the best care. And hoping the continuation is all good news for him. 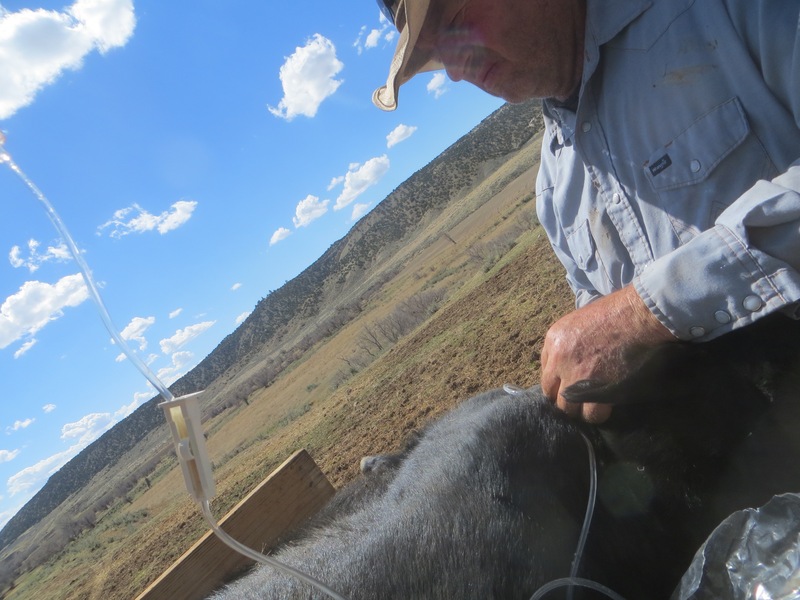 Life and death, a rancher life. Of course, I’ll be praying for life. Oh, poor baby. So hoping for good news! Sure hope he recovers quickly. Nothing makes me feel more powerless than a young animal in distress. Awww! Hope he’ll be ok!! I’m with Marilyn, praying for full recovery for the calf. Hope the antibiotic is very very very worth its money, and that you win your fight for the calf’s life. Ack, nerve wracking. Sending good luck “vibes”! Poor little baby – I hope and pray for a good outcome.